You wouldn't think the man behind the documentary Supersize Me, which vanquished the fast food industry, or that that same man, whose follow up film documented the ubiquity of product placement in popular media–then paid for the film with product placement–would end up making content for brands. 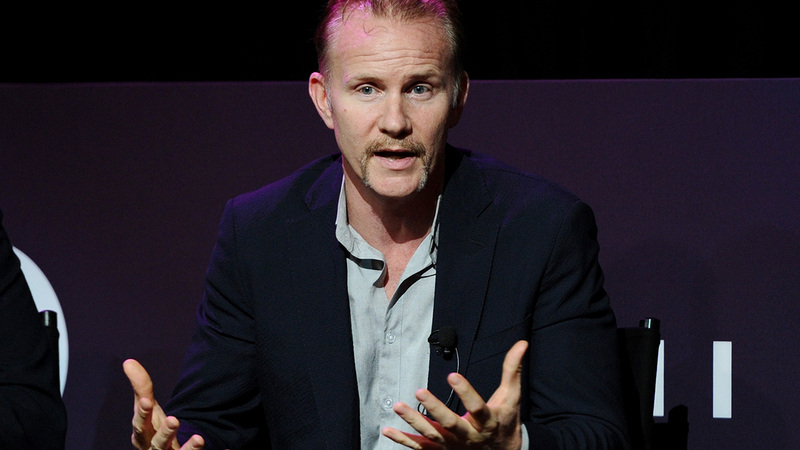 But Morgan Spurlock, and his production company Warrior Poets, are doing just that. And GE, Toyota, and Haagen Dazs are among the companies on board. Spurlock: Freedom to tell a great story. One that gets out of this idea of it having to be advertising, and [rather] that you're looking to make great content. I think that's the biggest thing. When we were making Greatest Movie Ever Sold, brands wouldn't get out of their own way. Now, brands are realizing that to tell great stories, they should partner with storytellers who understand what their brand identity is and what they want to accomplish. Out of that can come real magic. Adweek: What is one big mistake that brands and/or filmmakers make when producing branded content? A lot of the times, people still try to turn it into advertising. I think that's the biggest mistake; nobody wants to watch commercials. There are people who have done a great job with it, creating longer form or short form commercials—Slim Jim, the stuff they're doing with Funny or Die and T.J. Miller is fantastic. But on a whole, people want content. People want stories. They want something that is going to be compelling and different. They don't care who brings it to them–Haagen Dazs or Columbia Pictures–so long as it's a great story and not anybody selling something to them. When a brand comes to you to make content for them, what's the first thing you ask them? There's not going to be any product in this is there? That's usually the first question. Then whatever that answer is determines what the next questions are. You describe your content as being "Platform Agnostic." How do you go about making content that way? It depends on what the goals are that we want to accomplish. If it's short form you know exactly where you want to target that audience or what you want to make. If it's a longer form story that we're going to tell then we know it's going to be a different path that we want to get for the distribution for that. It depends on the story and what the longer tail of the marketing initiative is. What we want to do is work with brands to create compelling content and compelling stories that ultimately—what you want is you want them to live on. You don't want to have this great pop and then it just vanishes. What you want to do is have a great pop and then a much longer tail for it to continue to get shared and talked about. You rose to fame with your documentary "Supersize Me," which painted McDonald's in a very bad way. Now you produce content with brands. How did this happen? It took awhile. I was brand cancer for a very long time. Greatest Movie Ever Sold kind of showed people that we could make fun of the industry while simultaneously creating something that was beneficial to brands. And then brands' outlook on content changed. And now there are a lot more people who are willing to let go of that brand control to partner with people who are willing to take risks and do innovative storytelling. The more they do that, the more successful they will be.